The first person to die in a US crash involving a car in self-driving mode was the tech-savvy 40-year-old owner of a Tesla Model S who nicknamed his car “Tessy” and praised its sophisticated ‘Autopilot’ system. Joshua D. Brown, of Canton, Ohio, died in the May 7 crash in Williston, Florida, when his car’s cameras failed to distinguish the white side of a turning tractor-trailer rig from a brightly lit sky and didn’t automatically activate its brakes, according to government records and a Tesla statement issued Thursday. Brown, who owned a technology company, just one month earlier credited his 2015 Tesla with preventing a crash on an interstate highway. The government said it is investigating the design and performance of the Tesla system. “It was still playing when he died and snapped a telephone pole a quarter mile down the road,” Baressi said in an in an interview from his home in Palm Harbor, Florida. He acknowledged he couldn’t see the movie, only heard it. 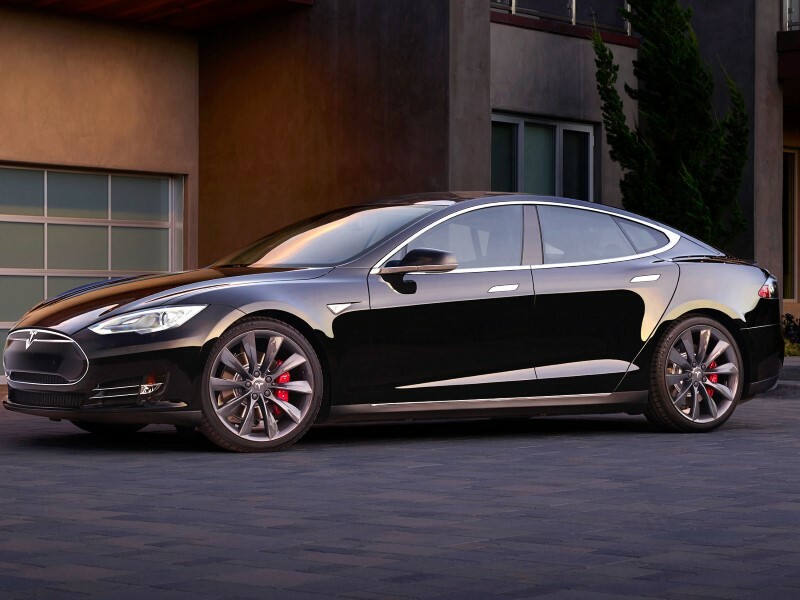 Tesla Motors Inc. said it is not possible to watch videos on the Model S touch screen. Brown’s published obituary described him as a member of the Navy SEALs for 11 years and founder of a wireless Internet network and camera system company. In Washington, the Pentagon confirmed Brown’s work with the SEALs and said he left the service in 2008. In April Brown credited his car with avoiding a crash when a commercial truck swerved into his lane. He published a video of the incident online. As NHTSA opened an investigation, Tesla founder Elon Musk expressed condolences in a . Preliminary reports indicate the crash occurred when Baressi’s rig turned left in front of Brown at an intersection of a divided highway where there was no traffic light, the National Highway Traffic Safety Administration said. Brown died at the scene just southwest of Gainesville, the Florida Highway Patrol reported. By the time firefighters arrived, the Tesla wreckage – with its roof sheared off – had come to rest in a yard hundreds of feet from the crash site. Tesla said in a statement that this was the first known death in over 130 million miles of Autopilot operation. Before Autopilot can be used, drivers have to acknowledge that the system is an “assist feature” that requires both hands on the wheel. Drivers are told they need must be prepared to take over controls, the statement said. Autopilot checks to make sure a driver’s hands are on the wheel, and it gives visual and audible alerts if they aren’t. It also will gradually slow the car until the driver responds, the statement said. The system allows the Model S to steer itself within a lane, change lanes and speed up or slow down based on surrounding traffic or the driver’s set speed. It can automatically apply brakes and slow the vehicle. Brown’s death comes as NHTSA is taking steps to ease self-driving cars onto the nation’s roads, an anticipated sea-change in driving where Tesla has been a leader. Self-driving cars are expected to eliminate human errors that are responsible for 94 percent of crashes. This is not the first time automatic braking systems have malfunctioned, and several have been recalled to fix problems. Last fall, Ford, for instance, recalled 37,000 F-150 pickups because they braked with nothing in the way. The company said the radar could become confused when passing a large, reflective truck. The technology relies on multiple cameras, radar, laser and computers to sense objects and determine if they are in the car’s way. Systems like Tesla’s, which rely heavily on cameras, “aren’t sophisticated enough to overcome blindness from bright or low contrast light,” said Mike Harley, an analyst at Kelley Blue Book. Harley said that more deaths can be expected as the autonomous technology is refined. Karl Brauer, a senior analyst with Kelley Blue Book, said the crash is a huge blow to Tesla’s reputation.